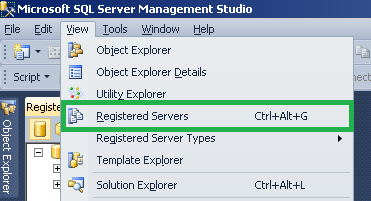 Registered servers is a great way to manage, categorize and access the SQL servers through SSMS and also one of the overlooked aspects. Registered servers are handy when you want to have all your servers at one place, sorted and categorized in various ways. With registered servers all your instances are just a click away eliminating the need to type the instance name every time you connect. 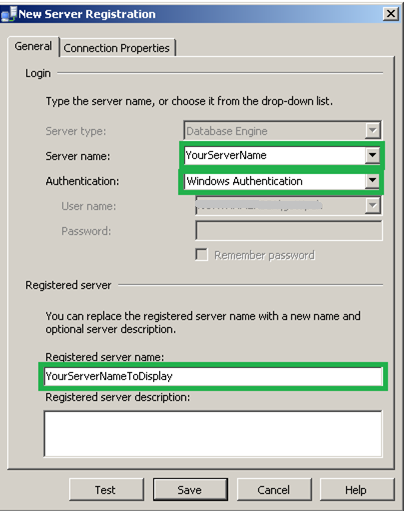 Apart from the aforementioned uses of registered server I have put down other helpful scenarios where registered servers come in handy. Easy to share among the team members and which is especially helpful for a newly hired DBA with import and export feature. 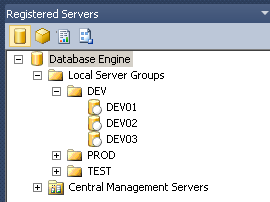 Does great job when you want to run a query on multiple servers in one query window. Either you want to check backups for all your production instances or disable a built-in admin login from all your 2005 servers. Helps to immediately identify servers’ availability after an outage. As you can see here, server name is the actual name/ip address and Registered server name is what you like it to display. I usually prefer the servers categorized based on the environment as shown below. 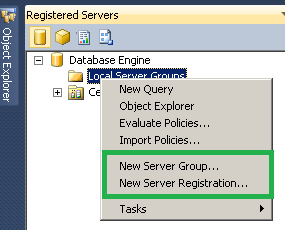 You can right click on any of the groups and open a new query window. 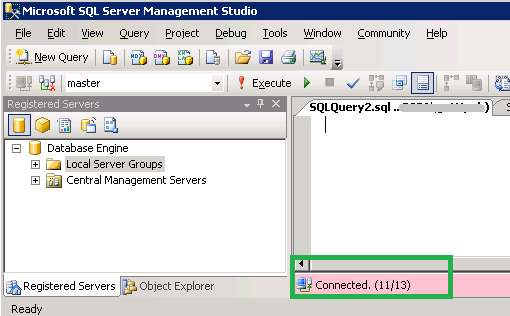 That means, a query window is open to execute a query that gets the result from all the servers. The below screenshot shows the number of servers connected. This comes handy when you are checking the servers for connection issues. I am glad, it helped you. Thanks!